In this, the last of our Now Streaming columns, our resident film critic names his all-time favorite movies. When I was a kid, we imagined that there would be a day in which, rather than going to the video store, you could just push a button and a movie would play right on your TV. Those days are here. What comes next is anyone’s guess, but here’s hoping there will always be good movies to watch. 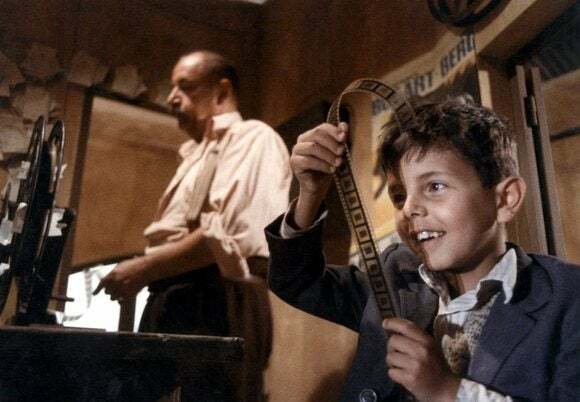 Giuseppe Tornatore’s beautiful Cinema Paradiso (1988) plays the heartstrings a bit heavily, but it’s nearly impossible to resist, especially if you love movies with all your heart. A film director, Salvatore Di Vita, flashes back to his childhood spent at the title movie theater, his friendship with the old projectionist there, and his first love with a local girl. So many scenes will stick with you forever, such as Salvatore racing back and forth between two cinemas on his bicycle, carrying the shared reels of a single film print. But nothing hits quite like the movie’s masterstroke: the discovery of all the excised kissing scenes, stolen by the priest for the “betterment” of his flock, edited together in one passionate reel. 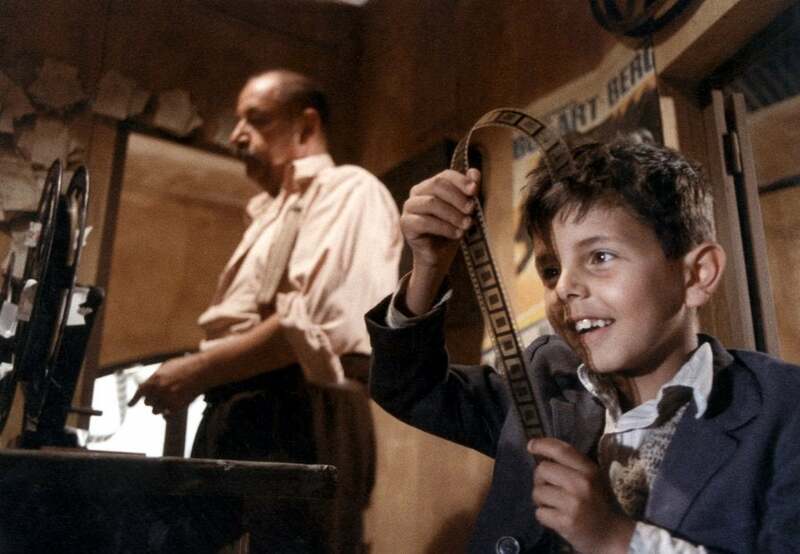 Hailing from Italy, the movie is still one of the all-time highest-grossing foreign-language films in the United States, and it won the Oscar for Best Foreign Language Film. Ennio Morricone provided the gorgeous musical score. Netflix offers the 124-minute cut, which, in its own way, is even more enjoyable (and less dark) than the full-length 174-minute director’s cut. Howard Hawks was one of the greatest of all Hollywood directors, somehow managing to make personal movies, but still seamlessly integrating into the system; his films were even successful at the box office. He made films in all different genres, with different kinds of stars (John Wayne, James Cagney, Humphrey Bogart, Lauren Bacall, and others). He offered plucky roles to many actresses and concentrated on themes of friendship, honor, and professionalism. 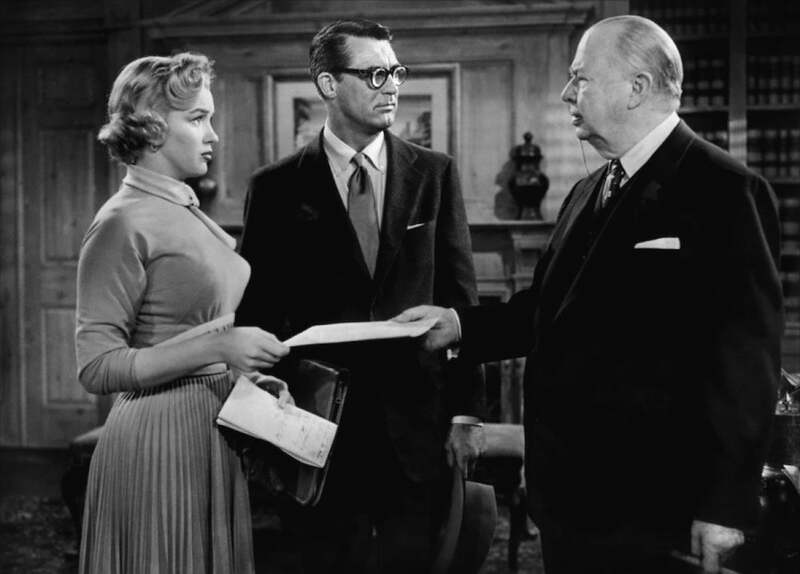 Monkey Business (1952) was his fifth and final film with Cary Grant, and it also helped to introduce a young Marilyn Monroe to the public. Grant plays scientist Dr. Barnaby Fulton, who invents a youth serum; both he and his wife (Ginger Rogers) inadvertently drink the elixir when a lab monkey dumps it in the water cooler. The pacing here is a little more lax than in Hawks’ more frantic comedies, but it still manages to pack in a strong combination of one-liners, slapstick, and thoughtful commentary. Brilliantly adapting Stephen King’s novella The Body, writers Bruce A. Evans and Raynold Gideon and director Rob Reiner crafted one of the greatest coming-of-age movies of all time. When word comes of a dead body deep in the woods, four 12-year-old friends, Gordie (Wil Wheaton), Chris (River Phoenix), Teddy (Corey Feldman), and Vern (Jerry O’Connell), hit the trail to find it. Of course, it’s less about the body than about the journey, with its exciting (the train), bittersweet (the disapproving dads), beautiful (the deer), scary (Chopper), and funny (the pie-eating contest) events, as well as the memorable discussions (Pez). 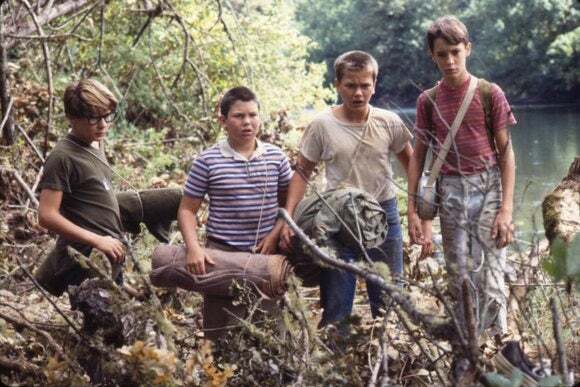 It’s a snapshot of boys just about to leave childhood behind but still uncertain as to just what adulthood entails. Kiefer Sutherland plays a sadistic older bully, John Cusack appears in a flashback, and Richard Dreyfuss narrates (and appears as the grown-up Gordie). A soundtrack album of 1950s pop hits was released, and the title song by Ben E. King became a top-10 hit. The screenplay earned an Oscar nomination. Hugely under-appreciated, Walter Hill is one of the greatest directors of “B”-level action movies today, frequently telling stories about characters in unfamiliar territory. 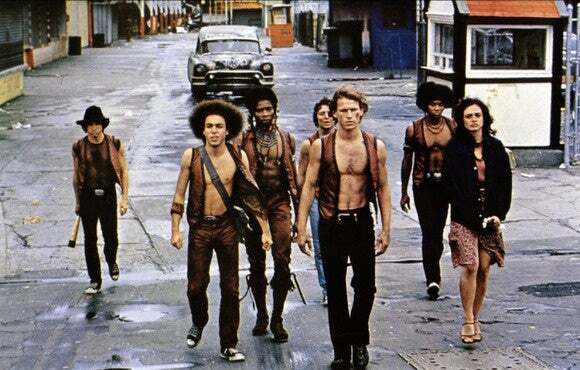 The Warriors (1979) is arguably his masterpiece. All of the gangs in New York City assemble for a big meeting, led by “war chief” Cyrus, but he’s shot and killed by the nasty Luther (David Patrick Kelly). The Warriors, the gang from Coney Island, gets the blame. So with every other gang in the City, plus the cops, out to get them, our Warriors (played by James Remar, Michael Beck, and others) must make it back to their home turf alive. Hill makes amazing use of the city’s grime and graffiti, and the various gangs have different, strange themes, such as wearing baseball uniforms, roller skates, or face make-up. Meanwhile, a radio DJ regularly charts the Warriors’ progress and plays records for them—Joe Walsh’s “In the City” is a memorable track—and some of the movie’s lines are still quite quotable. The movie was not well-received on its initial release and was even blamed for certain incidents of violence. Netflix offers the original theatrical cut, as opposed to Hill’s much-hated 2005 director’s cut. Many consider Yasujiro Ozu to be the greatest of all Japanese filmmakers, Akira Kurosawa and Kenji Mizoguchi notwithstanding. 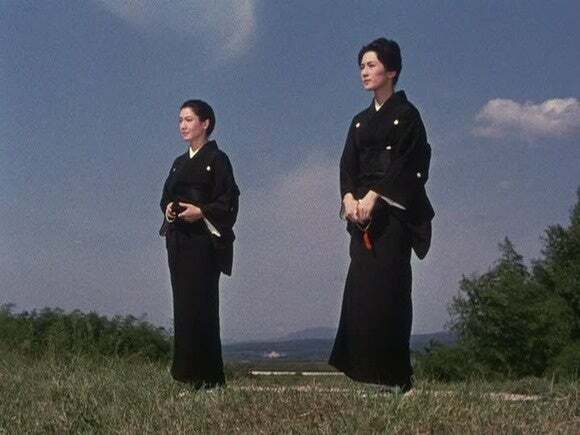 Ozu’s style remained steadfastly consistent throughout his 35-year career, taking his time before switching from silent to sound (in 1936), and from black-and-white to color (in 1958). He favored straight-ahead, medium shots, often from a medium height (sitting position). He told stories about families and the complex relationships between generations, establishing a contemplative rhythm, and often pausing for shots of clotheslines or trains, just to show that life was happening. His penultimate film, The End of Summer (1961), is as good as they come, telling the story of an aging patriarch and owner of a sake brewery, his two daughters, and a widowed daughter-in-law. Characters attempt to fix each other up with partners, confront each other, and generally try to get through the days (with death lurking just around the corner). There’s something peaceful about Ozu’s films, as if the master discovered some kind of tranquility in his acceptance of life. Ozu’s frequent leading lady, the sublime Setsuko Hara, stars, in her last film with him. One of the greatest living filmmakers, Canada’s David Cronenberg can never escape his origins as a horror director. But what sets him apart is that his films are not afraid to explore the nature of human flesh and all the ways it can be altered, experimented on, or mutated—themes that are relevant to every single viewer. Scanners (1981) is one of his earlier efforts, probably more regularly seen at drive-ins and grindhouses, but it’s a masterpiece nonetheless. As it begins, a weird, lost man, Cameron Vale (Stephen Lack), wanders into a shopping mall and accidentally gives a woman a seizure just by looking at her. Some men come after him, and he awakens in a strange lab. He’s told that he is a “scanner,” with the ability to either read or destroy people’s minds, and he is enlisted to help defeat an evil scanner, Darryl Revok (Michael Ironside), who is apparently trying to build an army. This is the movie known for the gory exploding head sequence early on, but seen today, Scanners mainly shows Cronenberg’s clinical, curious style already in place, and despite the psychotronic material, it’s a brilliant movie that retains its ability to shock. 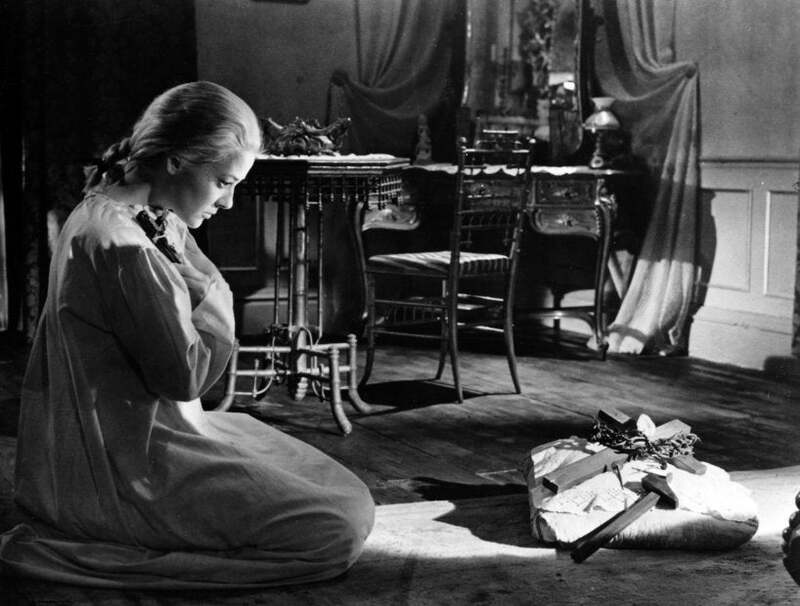 A student of surrealism, Buñuel was attuned to the rhythms of dreams and somehow managed to instill haunting—or darkly funny—images within his story. In one of these, a man buys a dog to rescue it from its miserable life of being tied to the back of a carriage. As he walks away, another carriage rolls by with another dog tied to the back. This movie began a nearly unbroken string of late masterpieces for Buñuel, who worked up until 1977—his last film was That Obscure Object of Desire—and died in 1983. An easy contender for the best documentary ever made, Terry Zwigoff’s Crumb (1995) tells the story of Robert Crumb, the legendary underground comic artist known for “Fritz the Cat,” the “Keep on Truckin’” bumper stickers, and the cover for the Janis Joplin album Cheap Thrills. Given incredible access, Zwigoff’s courage, wisdom, and luck allow him to truly explore Crumb’s innermost psyche, getting to the root of where his fearlessly personal art comes from. Ingeniously, the movie also spends time with Robert’s brothers, the younger Maxon, a nearly homeless artist, and the older Charles, a disturbed recluse whom Robert idolized (and whose own bizarre, obsessive artwork is also quite revealing). Through these comparisons, Zwigoff suggests that success may have saved Robert’s life, giving him a shot at normalcy. 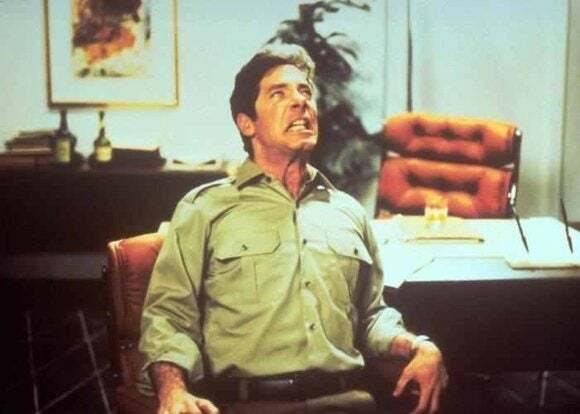 Oddly, due to poor test-audience scores, studio executives pressured Zwigoff to remove Charles’s scenes, but he refused, knowing that they were the key to the entire film. Above all, Zwigoff had the patience to film the Crumbs’ artwork closely and slowly, so that audiences actually had a chance to read and study it. The film won numerous awards, but was unforgivably snubbed by the Oscars. Though the Russian filmmaker Dziga Vertov is today known for only one film, Man with the Movie Camera (1929), he was a pioneer of cinema, developing the concept of cinéma-vérité (realism) as well as modernism and the essay film. 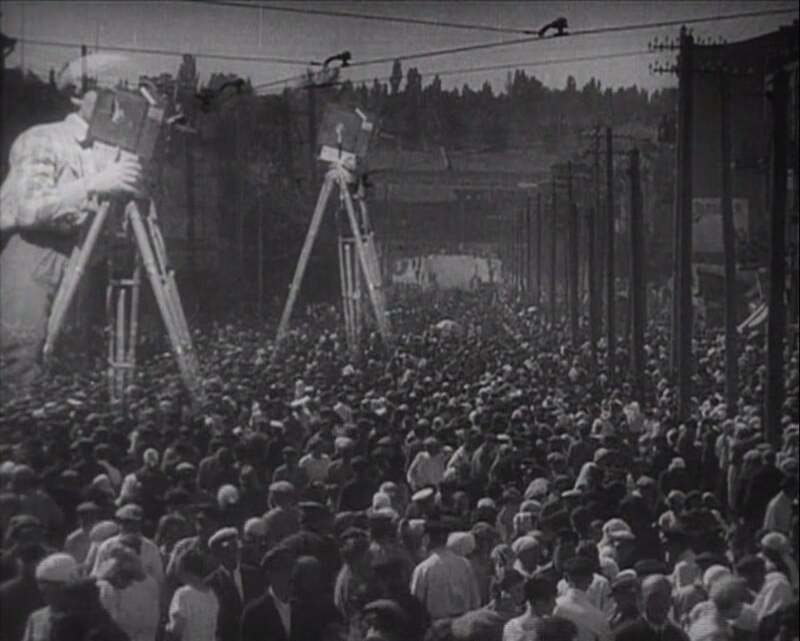 But that makes him sound like not much fun, and Man with the Movie Camera is certainly one of the most amazing, complex, dazzling, and beautiful films ever made. In 2012, it was selected as one of the 10 best films ever made in a Sight & Sound magazine poll. Running only 68 minutes, silent, and without a plot or intertitles, it’s simply a man wandering around and filming things, but taking great joy in the art of filming, inventing new ways of looking at things. The processing and editing is crucial, occasionally crossing and swirling images together, making something that, even 85 years later, feels entirely fresh. The version offered by Fandor includes a recent Michael Nyman score. As with Cinema Paradiso, this is essential viewing for anyone in love with film.